As the 4A State Championship entered the Semi-Finals on Friday night teams that boasted the most individuals into the Semi’s was Eastern View who had 6 wrestlers, followed by Fauquier which had the second most with 5 wrestlers as Great Bridge and Liberty both having 4 kids. 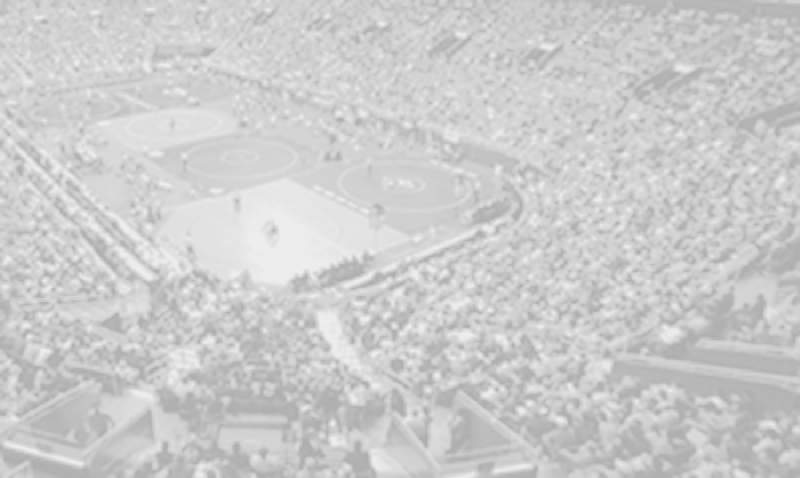 By winning a Semi-Finals match wrestlers will earn 11 team points plus possible bonus. As five teams hover on top of the leader board by 7.5 points the start of this Championships Semi-Final round, taking advantage of these 11 points at each weight is huge in sustaining a team lead and the chance for the State crown. As Fauquier battled through their Semi-Final matches the Falcons ended up going 4-1 and extended the point total to 110.5pts. Eastern View almost ran the table but also had one lose as they went 5-1 and currently in the lead with 114pts. as Great Bridge went 3-1 and rest in 3rd place with 93.5pts and Liberty went 0-4 in their match play. (120) Kyle Budd scored the first take down to close the first period 2-0. 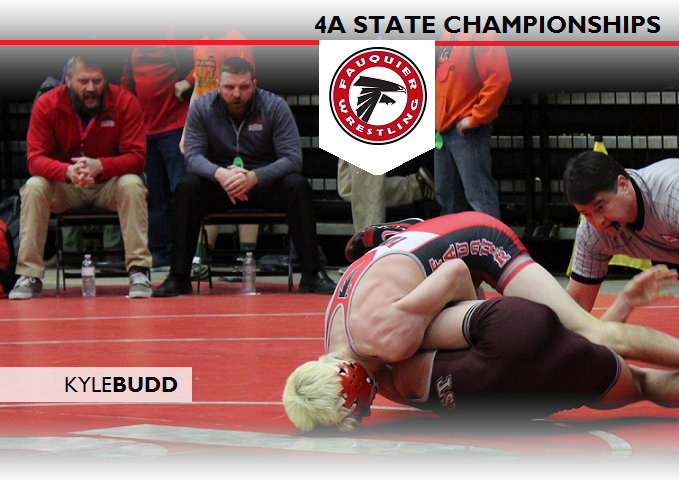 Budd then got a reversal and transitioned into a fall over Timmy Dieter of Sherando. This pin by Budd gave Fauquier 13pts. (145) Ty Foster took a first period lead with a 7-2 score. Shorty into the second period starting in the down position Foster was able to escape followed by a take down and a fall over Sam Felicianco of Smithfield. Foster also earned 13pts. for Fauquier. (160) Sam Fisher won by fall in the 2nd period over Kevin Valyear of Millbrook and also gave team Fauquier 13pts. for the team. (170) Franco Camarca had a hard fought 8-0 major decision over Bailey Eichelberger of James Wood and help the Falcons by posting 12pts. to the team score. (132) The only lost that Fauquier had in the Semi-Finals was to Kolin Johnson of King George who won by fall over Joe DelGallo. But DelGallo now rest with in the Consolation Semi-Finals as he still has a chance to wrestle back to earn a 3rd place. The Finals are scheduled for 2PM today but Fauquier will have three wrestlers on deck Joe DelGallo, Cam Franklin, and Jackson McEachin wrestling in the Consolation Semi-Final to try to continue to put team points on the board. If any wrestlers win the Consolation Semi-Finals round, then they will get a chance to wrestle for 3rd place. But if any wrestler loses then the will be aligned with the 5th and 6th Finals. 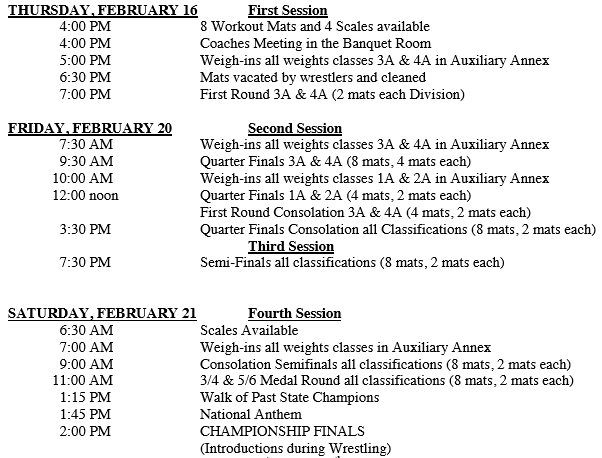 Below are the Consolations Semi-Finals pairings which will start at 9AM today. The Medal round - 3rd and 4th Finals alongside the 5th and 6th Finals will take place at 11AM following the Consolations Semi-Finals. Below are is the four Falcons that will be wrestling in the 4A Championship which will start at 2PM today.